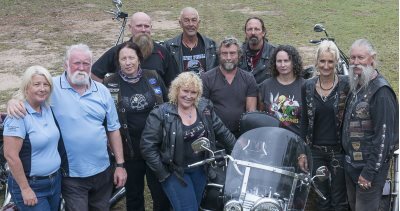 Rumble to the Rock 2018 is the 10th Anniversary ride of Rumble to the Rock 2008, the inaugural Rumble Ride for the awareness of Prostate Cancer. 85 riders joined Mick Schinkel from Rockhampton, to enjoy the ride through Barcaldine, Winton, Mt Isa, Tennant Creek, Alice Springs, Uluru, and back to Alice Springs. In 2008 funds raised was $47,000.00 and much more was the awareness of illness of Prostate Cancer in the western towns. Today we are planning the next ride in 2018, as we are at early stages we will be updating the website and Facebook on a regular basis. Please press FOLLOW on the Facebook pages to be kept up to date. Please use the CONTACT US page to register your interest in the ride. Looking forward to meeting more Rumble Riders. Please note we are a group of like mind people who wish to enjoy the ride and the social attractive. Come and join us for the ride. Dates 29th April 2018 to 7th May 2018 with optional extra ride via Cooper Pedy from the 8th May 2018. * subject to Change without notice.